Richard Irwin (Belper, United Kingdom) on 5 March 2009 in Plant & Nature. 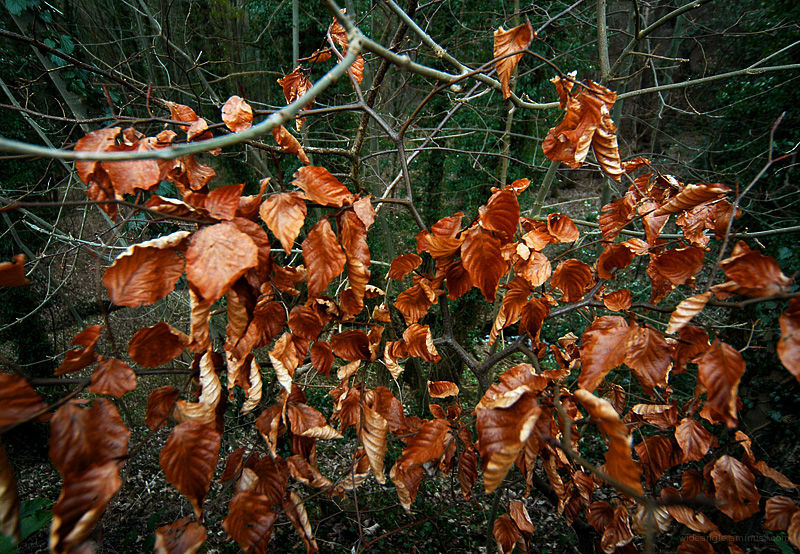 A few burnished leaves still cling to their branches whilst awaiting the coming spring. Absolutely wonderful colours. Makes me feel like taking the day off work and putting my walking boots on. @Lorraine: It amazes me that they can hang around all winter still clinging to the branch they were born on. Great colours,a really good shot. Beautiful colour, they look like Beech possibly? Superbly capture and creative treatment!! Great color. Keep hanging on! They seem to be made of copper. Absolutely gorgeous! Nice photo of these dried leaves and the colour is lovely.